This morning we cycled to the swimming baths. We have decided to go swimming once a week, Mum, Jude and me. The curtains in the changing rooms were blue and yellow, and we needed a pound coin each for the lockers. I always try to pack my clothes away with my shoes at the bottom, and my towel on the top. Mum is teaching us to swim the breaststroke, you have to keep your fingers together and push the water behind you, at the same time you bend and straighten your knees. Mum said to picture how a frog swims. We swam for about an hour and then we went to the library. The library is a really comfortable place to browse books and read. There’s a whole section of children’s non-fiction and fiction, I once found a really good bouncy ball on the floor near the toddler books. Today I found a Sabrina the Teenage Witch novel for my new reading book, and a book about dogs. I needed a new reading book because I finished The BFG on Sunday. Jude chose The Worry Website by Jacqueline Wilson, one of her favourite authors. 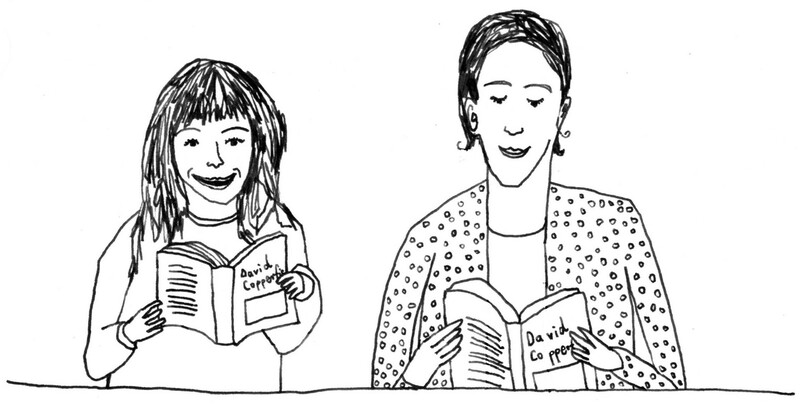 At home in the afternoon we read David Copperfield together. We each have a copy, and we take it in turns to read it aloud. I’ve written my name in my copy. David Copperfield is a really long book by Charles Dickens, we started reading it the other day, when Mum got us each a copy from the Heritage Centre. We finished the first chapter today, it is really interesting. It starts off when he is born, and then carries on. This morning we learned that all energy comes from the Sun. Plants use the Sun’s energy to grow, and so when we eat plants we are eating the energy the Sun gave the plants. We had a needlework lesson this afternoon. 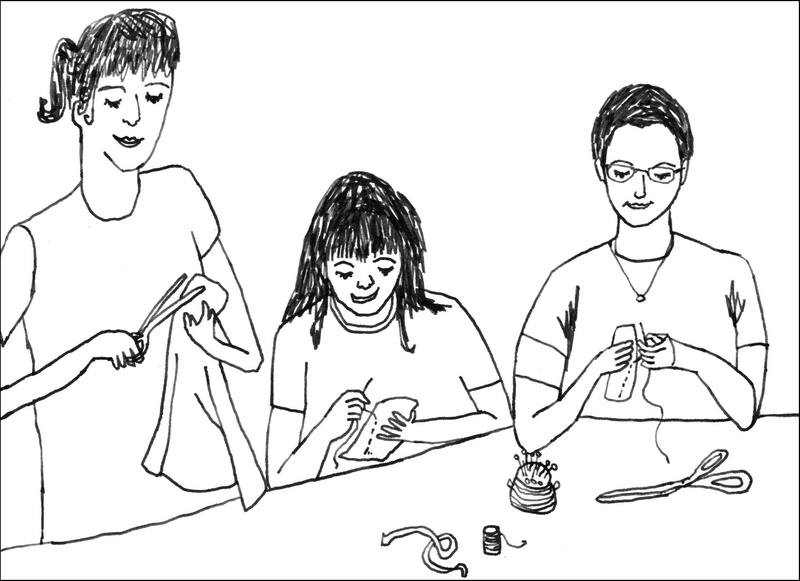 Mum showed us how to hem, and how to sew running stitch. I really like sewing, we used little pieces of fabric scraps to practise, and then we stuck them in our purple scrap books which is where we record our sewing. Jude finished her sewing first and she used the rest of her lesson time to flick me with elastic from the sewing box. This was annoying but it was funny too. I carried on sewing and finished my running stitches, Jude said she was impressed by my reflexes. This entry was posted in Vegan, veggie kids and tagged Charles Dickens, children, children's story, David Copperfield, diary of a home-schooled vegan, education, homeschool, learning to swim, literature, reading, school, sewing, swimming, vegan, vegetarian. Bookmark the permalink. Good start. I like it so far.